we share many of these same needs. Over the years, this has led to dogs cementing their place right by our sides, as man's best friend. While we as humans view our dogs as our friends, they view us as members of their pack. All dogs are loyal and have the capacity to show great loyalty, but some may have stronger instincts for loyalty than others. Throughout history, there have been numerous stories of dogs displaying great valor in order to protect, save or remain alongside their owners. We've made a list of what we believe are the top 12 loyal dog breeds. Based on breeding and history, temperament and owner experiences, these particular breeds have proven time and again to be loyal and brave. 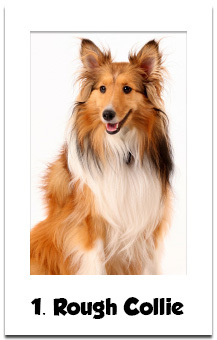 It should come as no surprise that Lassie tops our list! The Rough Collie is a herding breed that originated in Scotland. Just like the famed pooch was on the big and small screen, these friendly dogs are intelligent, active, and good with children and other animals. Rough collies have a history of being incredibly loyal and protective of their owners, making them excellent family dogs. Commonly used by the police and military, German Shepherds originated from Germany dating back to the late 1800s. These highly active dogs have a willingness to learn and serve a purpose. 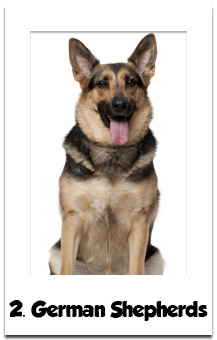 As a working dog breed, German Shepherds are naturally loyal and bond well with familiar faces. They have a tendency to become overprotective of their family and territory, strong guidance and training is a necessity. One family avoided being robbed, and possibly even worse, because of their German Shepherd, Moti’s bravery! Moti jumped into action, barking and trying to protect his family when man with a gun broke into the family’s home. The intruder shot Moti and, rather than continue with whatever misdeeds he had planned, fled the home, leaving the family safe. Moti fully recovered from his gunshot wound, but his family will not likely soon forget his heroism that night. 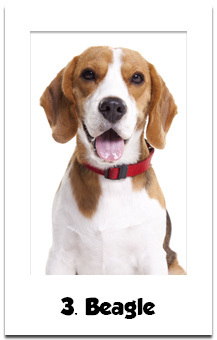 A hunting breed, Beagles are often used by homeland security personnel because of their incredible sense of smell. The modern breed has its origins in Great Britain but has even been mentioned in references dating back to Ancient Greece. They are known to be merry, kind, and gentle. They are pack animals and for this reason, they are very attached to their owners. When her diabetic owner had a seizure and collapsed, a Beagle named Belle jumped into action. She dialed 911 for her owner by biting into his cell phone so he was able to get the medical attention he needed. Originating from Hungarian roots, this breed was known to guard livestock. 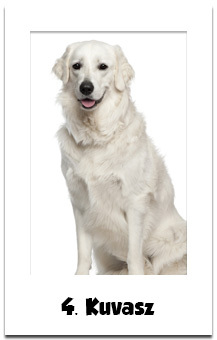 In recent years, Kuvasz's have served well as house pets. Kuvasz's are an intelligent breed that has a clownish sense of humor. They are loyal pets that appreciate attention with a streak of aloofness and independence. The combination of their large size and loyalty to their family makes this breed a suitable guard dog. Due to his size and strength, a Kuvasz named Pilot is the perfect companion and assistant for his owner. His owner is unable to lift or carry anything that weighs more than five pounds due to injuries she sustained to her neck and shoulders. He helps his owner perform tasks she otherwise would be incapable of performing. Pilot brings laundry up from the basement and pulls the grocery cart, among other tasks. When his owner, who also suffers from dizziness and chronic pain, has a dizzy spell, Pilot is right there for her to lean on so she never has to worry about falling and injuring herself. With roots dating back to Newfoundland off the east coast of North America, The Labrador Retriever is one of the most popular breeds of dog in the world. 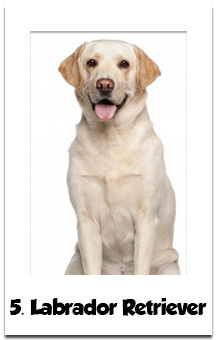 It is known for its happy temperament, boundless energy, intelligence, gentleness, loyal and ease with children. The lab, as they are affectionately known, was bred for the superior game retrieval instincts, as well as to provide superior companionship, which has made them great family pets and hunting buddies. A Labrador Retriever named Patty saved her owner from drowning, and possibly hypothermia, after their boat capsized in freezing waters. Patty swam an unknown distance through a strong current, with her owner holding on to her tail, to get them to the safety of dry land where they waited to be rescued. Developed in the Brittany province of France in the 1800s, the Brittany is a hunting/gun breed that was originally bred for bird hunting. Brittanies are noted for being easy to train, sensitive and sweet natured. 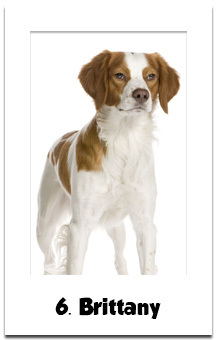 Their size and loveable nature have made the Brittany an increasingly popular family and companion pet to have. In the middle of the night, a couple was awoken by their Brittany, Cooper’s barks. Upon looking out of a window, Cooper’s owners saw that both of their vehicles had caught fire and were burning in their driveway. The flames got dangerously close to spreading to the house through a tree in between the drive and the house itself. The family believes that Cooper saved their lives! The Boxer is a breed developed in Germany and originally used as a hunting dog on large wild game. Its powerful jaws and bite allowed it hold down boars and deer until the hunters arrived. 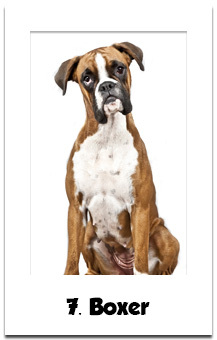 Boxers are energetic, fun loving, extremely loyal, and low maintenance. They are harmless around family members but can be wary of strangers. This makes them good watchdogs, as they often will alert their owners when there is a stranger near their home. These faithful and affectionate dogs love to be outdoors. After somehow falling off of a 200-foot cliff, Roxy, a Boxer, waited for eight days with her owner, who was killed by the fall. Upon being located, it took the man’s daughter several attempts to get the dog to leave her owner’s side. 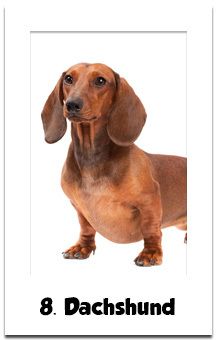 The Dachshund can be traced back to Germany and often referred to as a wiener dog or hot dogs because of its long body. They were originally bred to hunt badgers, rabbits, and other small prey because of its strong stubby legs and large paws that were made for digging. A dachshund loves to have fun and play. These dogs may be small, but they are very protective of their families. When JoJo, a Dachshund, kept leaving their sleeping daughter’s room and trying to get their attention, his owners knew something was up. As they checked their daughter’s room, they found the wall behind her bed to be giving off a lot of heat. It turned out that an outlet was incredibly close to catching fire. Not only did JoJo save the girl from potential harm, he saved his family’s home! The Golden Retriever was first bred in Scotland and used for retrieving game during hunting. 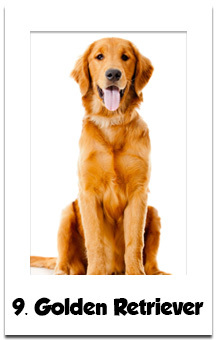 Golden Retrievers have a happy-go-lucky demeanor and seem to be always smiling. They are known to be patient, fun loving, eager to please, highly trainable, and, Because of their love of being around people, Golden Retrievers remain consistently among the most popular choices for family pets, as well as for service and therapy dogs. A Golden Retriever named Toby saved his owner from choking on an apple. She performed a sort of dog Heimlich maneuver, by jumping hard onto his owner. The force of Toby’s paws hitting his owner’s chest knocked the piece of apple lodged in her throat loose so she could breath again. The Yorkshire Terrier, or often adoringly referred to as Yorkie, are the smallest of the terrier breeds and bred in the 1800s in England. They are popular show dogs and companion dogs, and are fairly easy to care for because of its hypoallergenic coat. Highly energetic, bold, and very protective of their family, Often, these little dogs do not always get along well with strangers, making them great little watchdogs since they won’t hesitate to alert you that someone who doesn’t belong is around. They do, however, love to be close to their owners. 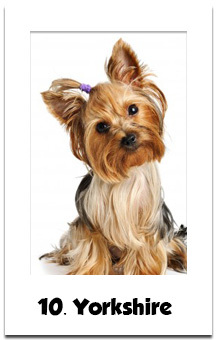 A Yorkshire Terrier named Smokey was the first therapy dog! While recovering from an injury during World War II, a U.S. Navy corporal was given a Yorkie by a friend. Not only did little Smokey have an uplifting effect on his owner, he also helped the other soldiers who were recovering from their injuries. Dr. Charles Mayo began taking the little pooch along on his rounds to brighten the soldiers’ days. 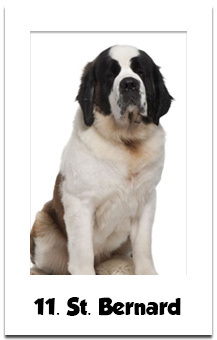 Beethoven, the title and star of the movie, is by far the most well known St. Bernard. But all St. Bernard’s tend to have the gentle and friendly nature portrayed by dog in the film, which makes them a great family pet. Originally bred as a rescue dog in the Swiss Alps, this breed’s huge size and resistance to cold it was able to keep people who were trapped by avalanches warm when it pulled them to safety. These instincts tend to translate over to protecting and looking out for their family, even if they are a pet, not a rescue dog. Their loyalty is attributed to their eagerness to please their owners. A St. Bernard named Hercules showed his thanks at having been adopted by a family just six hours after his adoption. Apparently a man was attempting to break into the family’s home through the basement. Although he had been relatively quiet since his new family had brought him home, the gentle giant suddenly started growling and, after forcing his way out of the screen door, Hercules bit the would-be intruder, chasing him away before any harm could be done. 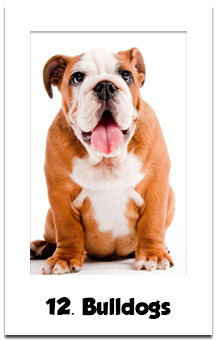 Bulldogs were originally bred in England and have their history in bull baiting, hence the name. The sport was so savage that it also required the dogs to be vicious and brave. However, it is also known for its stamina, strength, speed, intelligence and many came with their owners when North America was being colonized. Bulldogs are steady and dignified, with calm dispositions. They form strong bonds with children, while being gentle and protective. They also have a strong sense of dedication to their families. Some dogs form bonds with other animals, in addition to humans. For four kittens, their bond with an English Bulldog named Napoleon saved their lives. The kittens, along with two others who did not survive, where in a burlap sack when it fell into a lake. Despite being genetically predisposed to have difficulty swimming, Napoleon swam out into the lake and brought the bag back to dry land.